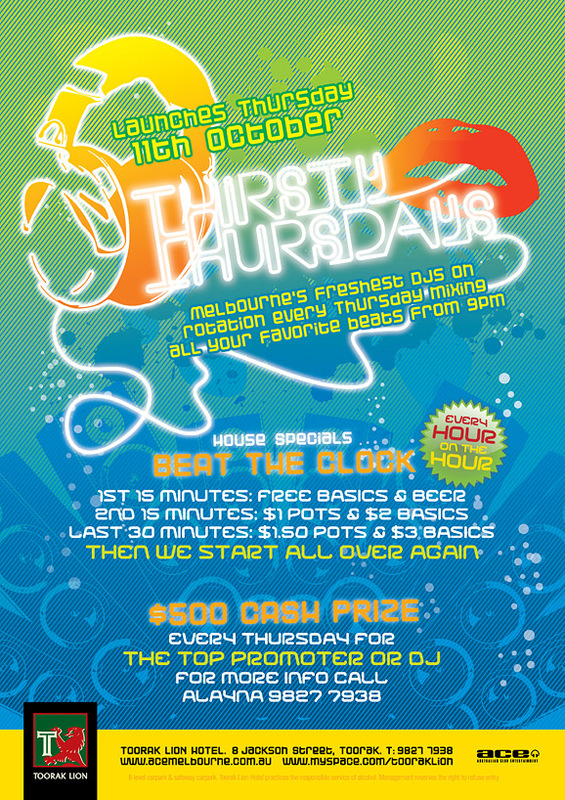 Hey Sydguy, Thursty Thursday at Toorak Lion is lunching tonight. It should be an awesome night. The music is good and they have drink specials there. rights. Toorak Lion Hotel practices the responsible serving of alcohol. entry. Minimum legal age 18yrs. Photo ID required. Lion Hotel practices the responsible serving of alcohol.